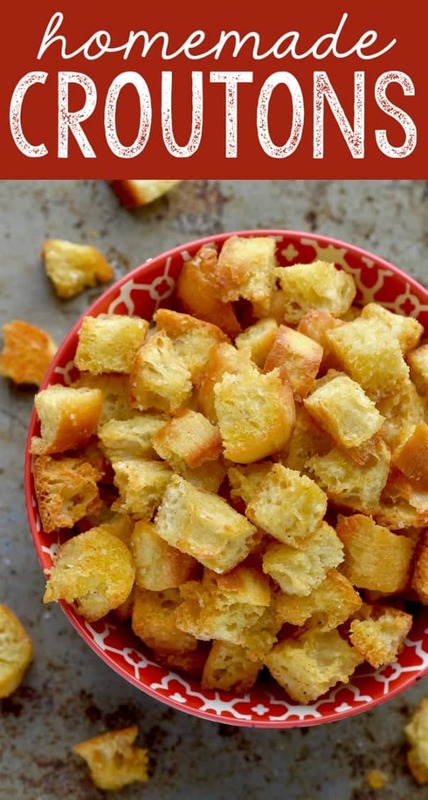 This Homemade Croutons Recipe, made from fresh bread, is delicious and easy to customize to your favorite flavors! 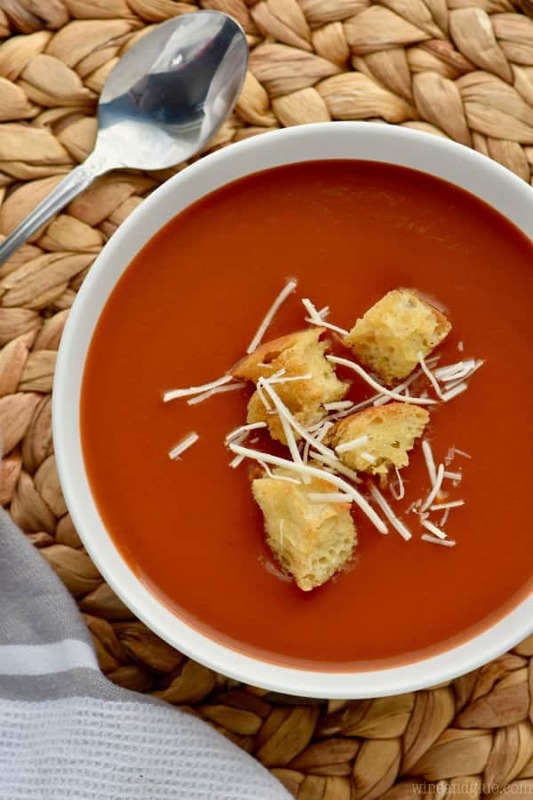 These garlic croutons are perfect on soup, especially this creamy tomato bisque, or just tossed on an easy side salad. 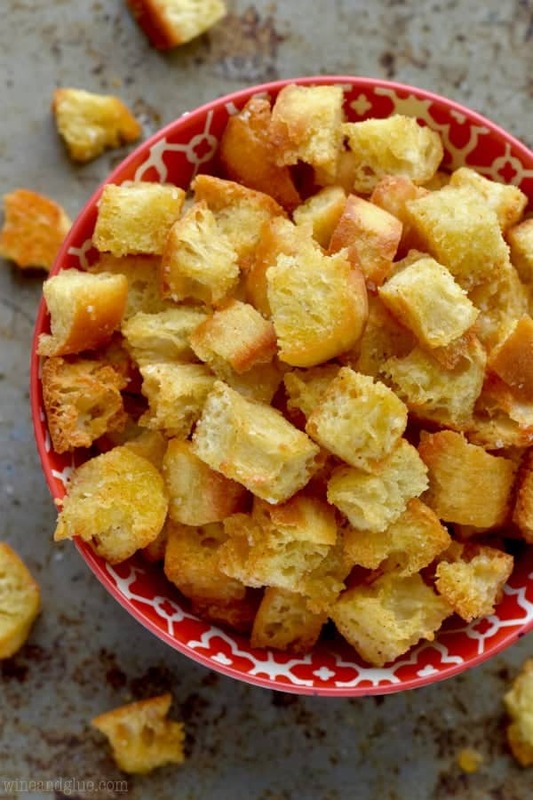 Learn how to make croutons that are so much better than store bought! The past few days we have been absolutely pounded with snow where I live. And apparently the side affect of snow falling is insanity in children. Did you know that? I know, it’s weird right? But there is a lot of carefully curated scientific evidence to back up this claim. In my neck of the woods this has looked like my six year old deciding that our deck stairs would make a good sled hill. You’ll be happy to know that by some small miracle, we did not have to make a trip to the ER. Then you cue the three year old sitting on top of a snow hill in our front yard screaming her head off. I’m convinced that the cure to snow induced insanity is comfort food. For real. There’s scientific evidence to back up my theory on this cue as well. Is it weird to think of homemade croutons as comfort food? I have definitely been known for my weird definitions of comfort food. But croutons for sure count! 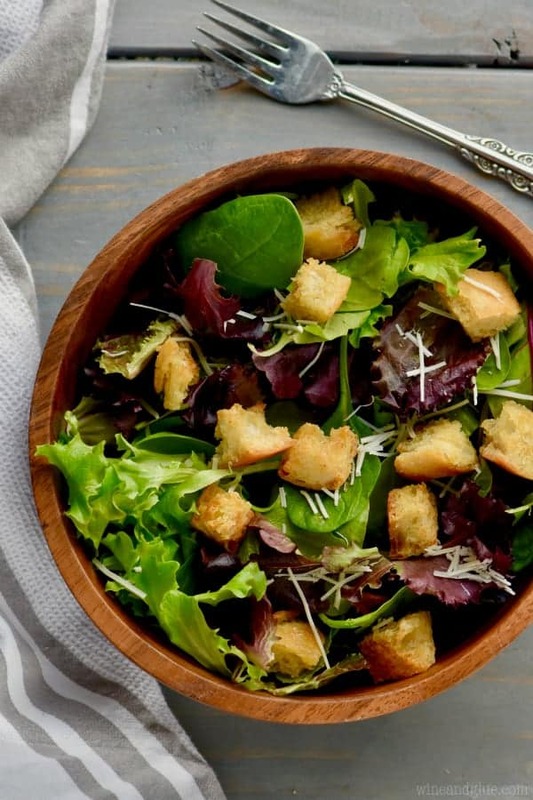 Croutons are very easy to make, and definitely need to be in you repertoire of go to recipes because they make everything better – white bean soup, Caesar salad, and snow induced insanity. I stuck with just salt and garlic powder to keep them a more basic flavor to enjoy on everything from the soup you see above to a salad. This crouton recipe was inspired by my Bacon Spinach Salad. I had it all put together and looked at the store bought croutons and thought WHY??? Why didn’t I just take the extra time to make homemade croutons. 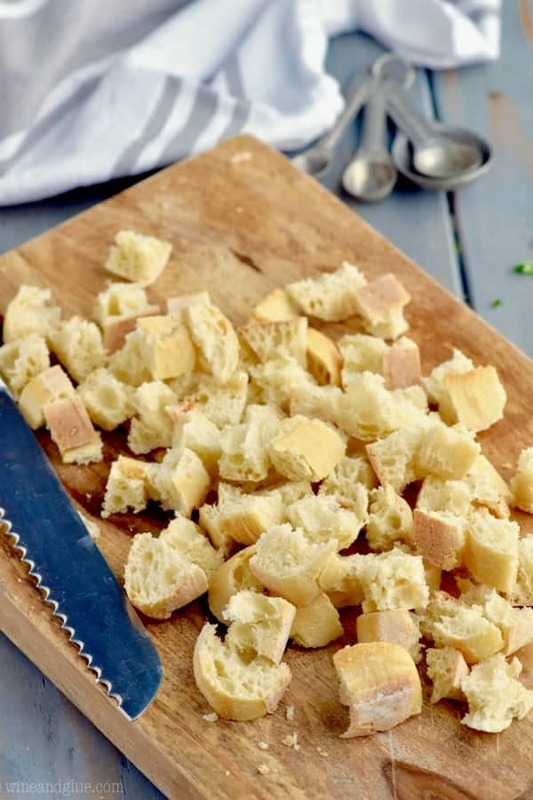 While it is so easy to just grab a bag of croutons from the store, you are going to want to put them back and grab a baguette of french bread instead and make them at home because you already have the other things you need, and they are so much better homemade. Day old bread that has been cubed and set out to dry over night works slightly better, but no one has time for that. Don’t stress if you need croutons ASAP. Follow this recipe and they will be delicious. Different ovens cook differently. Check your croutons regularly and go off of how golden they are versus how many minutes are left on your timer. Also, rotate your baking sheet at least once during the baking process, lots of ovens have hot spots and you don’t want any of your golden cubes of glory to burn. Don’t be shy. Make a double batch. You’ll be happy you did. Experiment! Take some of the flavor suggestions above and spice things up – literally. Next time I make them I’m going to add some parsley and parmesan cheese. Store your croutons in an airtight container for up to a week – if they last that long. 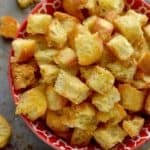 This Homemade Croutons Recipe, made from fresh bread, is delicious and easy to customize to your favorite flavors! In a large bowl, combine all of the ingredients and toss to combine. Pour the coated pieces of bread onto the prepared baking sheet. Bake for 12 to 15 minutes, tossing them once during baking and rotating the sheet once. Bake until golden brown. I used a small take and bake french baguette and it worked perfectly. 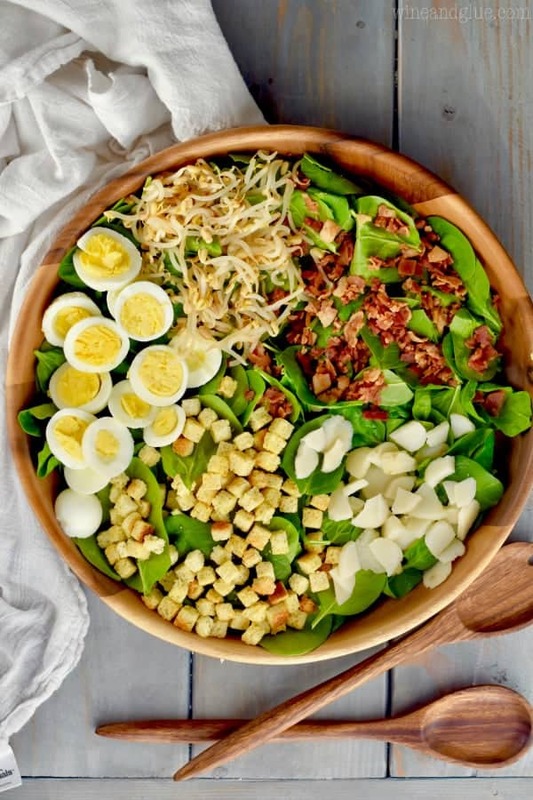 These croutons would be amazing on this Bacon Spinach Salad. 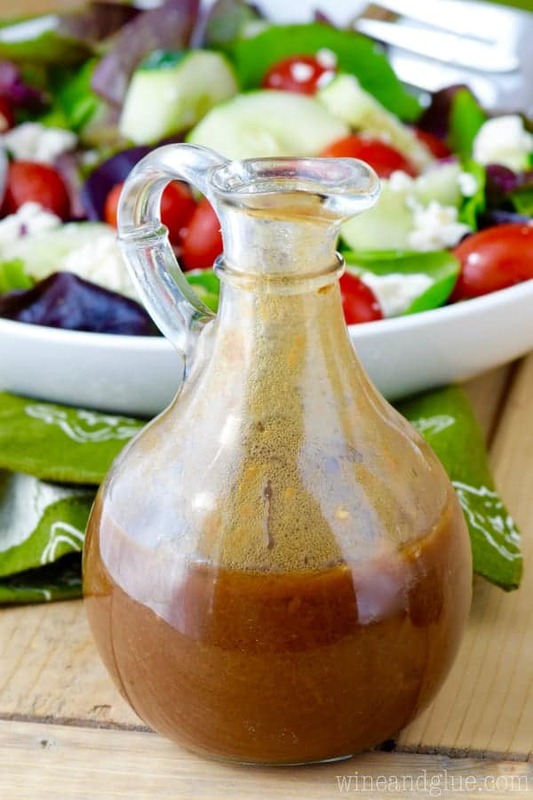 If you are looking to make your own dressing to go with your salad, try this Perfect Balsamic Dressing. 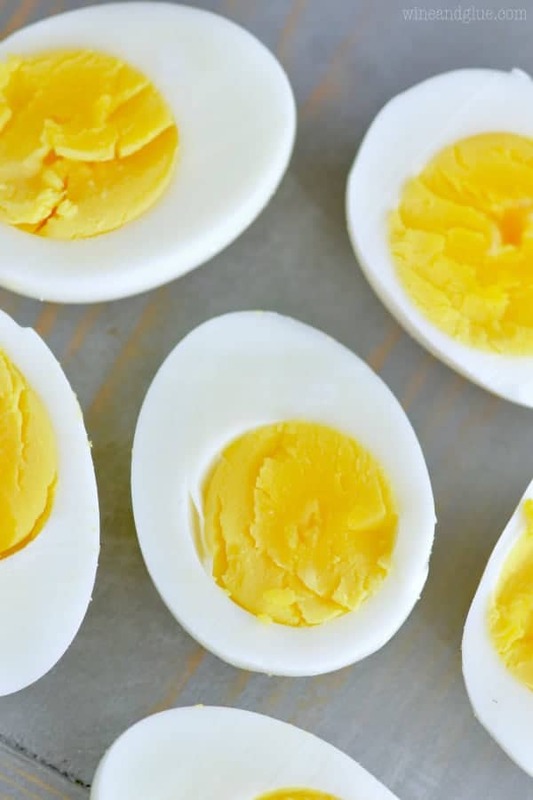 Learn how to make hard boiled eggs to go on your salad as well! 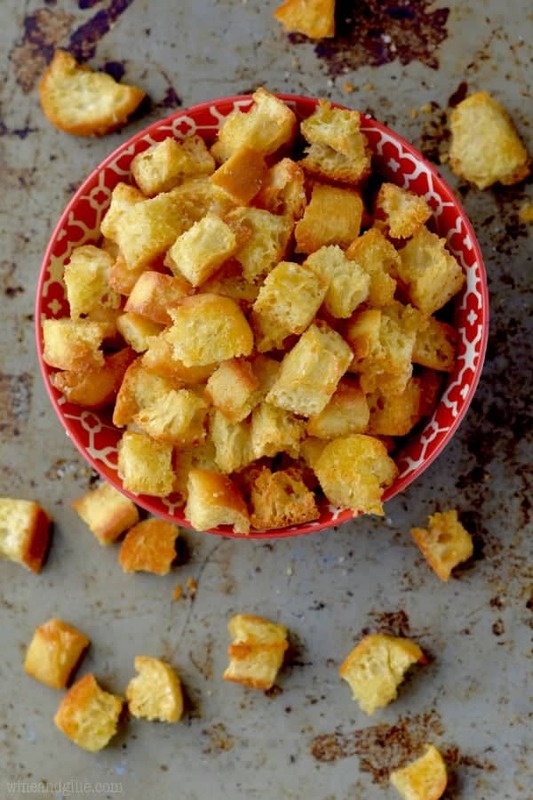 And, I will be using this recipe to make some croutons, even if I don’t have much time! Lolololol! Glad you get me Karen. I personally would still be okay with them in the pantry for a week. But I should advise you to eat them right away if you make them with parmesan.